Think of what you’re about to read as your guide to winning this summer, even owning it. Hipmunk has just released its annual guide focused on when to book your summer travel in order to score maximum savings. And not only does the guide detail the specific weeks to purchase your airfare in order to travel for key summer holidays without spending your life’s savings it also includes a bunch of juicy and helpful tidbits about hotel bookings and the most popular summer destinations. So, thank Hipmunk. Thank TravelPulse. Without further ado, here are some key travel tips and dates to keep in mind this summer. Fewer than half of Memorial Day travelers have booked their flights by the second week of April (in other words, by like…now!). However, not to fret. 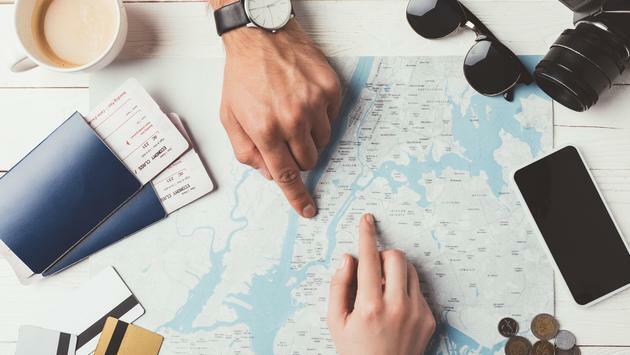 There’s still time for the procrastinators far and wide to maximize savings if you’re planning on flying this Memorial Day Weekend. Get your pen out. Here’s when you want to purchase your flights – the fourth week of April. Those who book airline tickets during Hipmunk’s appointed time (in other words five weeks in advance of Memorial Day) stand to save 13 percent. The median booking price is a little over $300. Next up, the wildly popular July 4 holiday. You’ll want to purchase flights the third week of May for up to 23 percent savings. In other words, six weeks in advance. The median booking price during this time frame is just above $250. Though few of us want to think about the end of summer (cringe, say it won’t be coming to an end) the money savvy should keep this time frame in mind: the first week of July. Those who buy airline tickets between July 1 and July 7 can save up to 25 percent on Labor Day travel. Securing airline tickets is merely one part of maximizing your summer frivolity. Here are some other key points to keep in mind, courtesy of Hipmunk. Accommodations prices for Memorial Day Weekend soar. At a median booking price of $193, hotels are 28 percent pricier than usual. Meanwhile, vacation rentals jump a whopping 98 percent with a median booking price of $181. Yet another reason to get a jump on those accommodations reservations: the Friday of Memorial Day Weekend had more vacation rental bookings than any other day last year. In other words, get your act together and start securing those holiday weekend accommodations ASAP. A few more airline booking tips to help you out as well. One parting tip for those who aren’t expert travelers yet. If you want to save even more money on airfare, search multiple airports for your arrival or departure. This is particularly applicable to those who live in a major metropolitan area or who happen to be flying into one.